GLENDALE, Cali. — Award-winning luxury safari outfitter Great Safaris has announced today that their best-selling Royal Botswana Safari including a visit to Victoria Falls is offered at a 35 percent discount. Botswana is a truly wild destination. 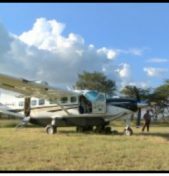 This tour highlights the region via bush plane jumpers, dry game drives and canoeing “wet safaris”, exciting walking safaris all with luxury accommodations, and the best guides in the business. Land cost for this 12-day itinerary is priced at $4,995. Botswana has been named a top destination by such organizations as National Geographic and CNN; now Great Safaris have made a trip there accessible and affordable. Included are six nights at Sanctuary Retreats Camps and Lodges, Chobe Chilwero Lodge & Baines Camp, inter-camp flights, meals, refreshments and drinks. Many surprises await those who book this trip, such as a bush breakfast after an early morning game drive and the chance to encounter hippos while paddling a canoe. The highlight for some is a visit to the spectacular Victoria Falls, a sundowner cruise while enjoying a two-night stay at the Victoria Falls Safari Lodge. 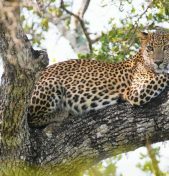 The Falls remain on many life lists of places to see and, of course, the wildlife viewing is simply spectacular ­– photographing magnificent African animals in their natural habitat is a highlight of the experience! This discounted price is available from Jan. 5-Jun. 14, 2016. 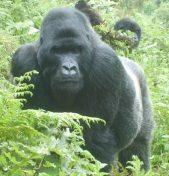 Packages including airfare are also on sale with Great Safaris. Contact them today to take advantage of this special pricing!